Do you have questions on compliance assessment and training? The Academy of Dental Learning and OSHA Training, in cooperation with Dynamics of Dental Safety, provides: a physical walk through of your facility and all the necessary safety recommendations. This program requires just three hours of your time and only two hours from the majority of your clinical staff. We also provide ongoing training through your own Office Portal where existing and new staff can complete required compliance training. Contact us so that we can help you protect your license. When emailing please include the name of your company, physical address, phone number, number of clinical staff members and any questions and/or concerns. We will be happy to help! 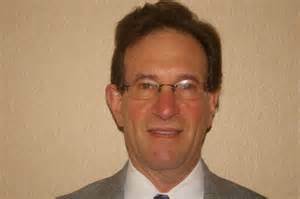 Dr. Howard J. Pactovis has been in the dental field for well over thirty years. He is a graduate of Tufts University School of Dental Medicine and Boston University School of Graduate Dentistry. For the last fifteen years Dr. Pactovis has been exclusively in the safety and risk prevention area relative to the dental field. Howard is the founder of Dynamic Dental Safety, Director of Education for the Academy of Dental Learning and OSHA Training, and has presented educational courses in more than twenty states. He was a featured speaker at the Yankee Dental Congress, New Hampshire Dental Society's 2008 annual meeting, Greater New York Dental Meeting 2010 and other state and local dental meetings on the subject of dental office safety and infection control. Dr. Pactovis is a member of OSAP and listed on their bureau of speakers and consultants page. Dynamic Dental Safety is an endorsed provider of compliance services by the Massachusetts Dental Society and the New Hampshire Dental Society.